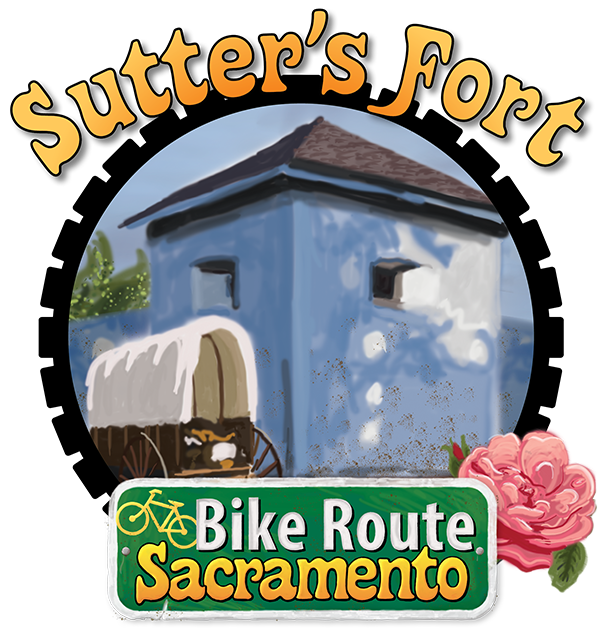 Every child goes to Sutter's Fort on school trips. I missed out on that because I grew up in Iowa. I was very excited to find out my daughter's school was going on a field trip. I signed up right away. When you go with the kids it is always a great experience. The fort had a whole gang of historians all dressed up in historic garb. Since we were with a school group they had the whole day programmed with each historian giving a short talk about how they fit in. They each represented a different type of person that you might meet at the fort from the trapper, to the pioneer, to the local land owners. This gives a very immersive experience and lets you imagine yourself back to the pioneer days in Sacramento. For the art piece I chose one of the corner towers. When you climb up into the tower you are transported back to a time where you might have seen danger out over the horizon. Looking out the gun ports you really feel like you are in a fortress. In addition I added the covered wagon to show how you might have arrived at the fort after a long journey from the mid-west. 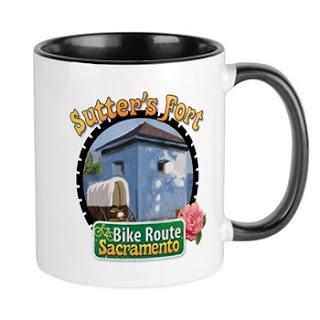 We have taken the Sutter's Fort image and created tons of great mugs, shirts and other fun stuff. Visit the Bike Route Sacramento store by going to www.cafepress.com/bikeroutesacramento.